Refresh Your Home with Our London Tile and Grout Cleaning Services! Keep your tiles sanitary by using our tile and grout cleaning services in London ! We’ll scrub, clean and polish kitchen and bathroom tiles by hand or machine. Grout dirty and peeling away? We’ll deal with the dirt and grime to ensure the surfaces stay free from germs and bacteria. In extreme cases we’ll use our silicon re-sealing methods to prevent cracks and reduce the risk of mould accumulating. Our professionals will carry out one-off deep cleans too. Get in touch with us today to discuss all your tile and grout cleaning needs. Our service hotlines are open 24/7! Our Grout Cleaning Services Mean You Don't Need to Replace Filthy Tiles! Replacing tiles should always be your last resort... And with specialist care and attention from our tile and grout cleaning services, you'll be able to hold off on that for many years. 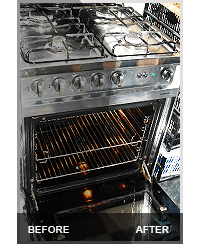 Why Choose Our Tile and Grout Cleaning London ? The top quality results we achieve when tile cleaning rest on the skill and training of the team, as well as the top-grade buffing and polishing equipment that we use. We'll be able to strip away soiled or damaged grouting, before replacing it with a matching shade and type, and buffing your tiles to a proper shine. Your tiled areas will be cleaned and sanitised to the highest standard, leaving your bathroom or kitchen ready to use right away. If you need confirmation that our tile cleaning service is as good as we say it is simply take a look at our testimonials page! We've got great feedback from past clients delighted with the quality of our services and our customer support. The technicians are all vetted, certified and fully insured. We’re dedicated to giving you services that reflect years of experience from an established business with an excellent reputation. The professional cleaners are punctual, polite and highly trained. We’ll provide you with a hassle-free service at an affordable price. Get in touch with us right now by calling 020 3404 2255 and speak to a trained customer support consultants. Our friendly office team are on hand 24 hours a day, 7 days a week, so it's always a good time to have a chat about booking a convenient appointment or to get your free, no obligation service estimatesover the phone. Alternatively, you can fill in our quick and simple contact form and a member of staff will get in touch with you shortly.